The bad news for those who were put out by Dublin’s winning of last year’s O’Byrne Cup with a relative scratch team is that Paul Clarke has named a squad of at least equal quality for the first game of this year’s campaign against Offaly in Parnell Park tonight (8.0). 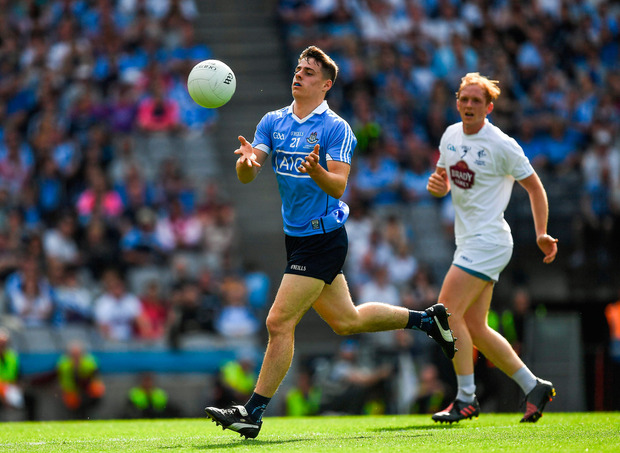 Brian Howard, tipped for big things this year by Dublin star Diarmuid Connolly, has already played senior Championship football and is named here at corner-back. Emmet Ó Conghaile is back in the running after being dropped from the Dublin panel following last year’s League. The same goes for another midfielder of rich underage promise, Naomh Mearnóg’s Shane Carthy, who made his League debut in 2013 as a Leaving Cert student. Howard, Seán McMahon, Colm Basquel and Glenn O’Reilly each had stand-out moments for the Dublin Under-21s in their All-Ireland win of last year while Ross McGowan, Eoin O’Brien, Niall Walsh and Killian O’Gara were all part of last year’s O’Byrne Cup winning squad. OFFALY (SF): A Mulhall; D Brady, J Lalor, S Pender; D Dempsey, C Donohoe, D Hogan; C Dunne, S Nally; J Hayes, A Sullivan, M Brazil; B Allen, C Johnston, S Doyle.